Kalamazoo doesn’t slow down when winter rolls around! Not one to embrace the cold? No worries! We’re sharing our favorite ways that you can warm up while you’re enjoying all that downtown has to offer this winter season. Green Door Distilling Co, is an award-winning grain to glass distillery located in Kalamazoo’s River’s Edge District. We’re proud to be Kalamazoo’s first distillery and represent the rich distilling history that Kalamazoo possessed in the 1800’s. For more information, check out our blog post featuring Green Door Distilling Co. 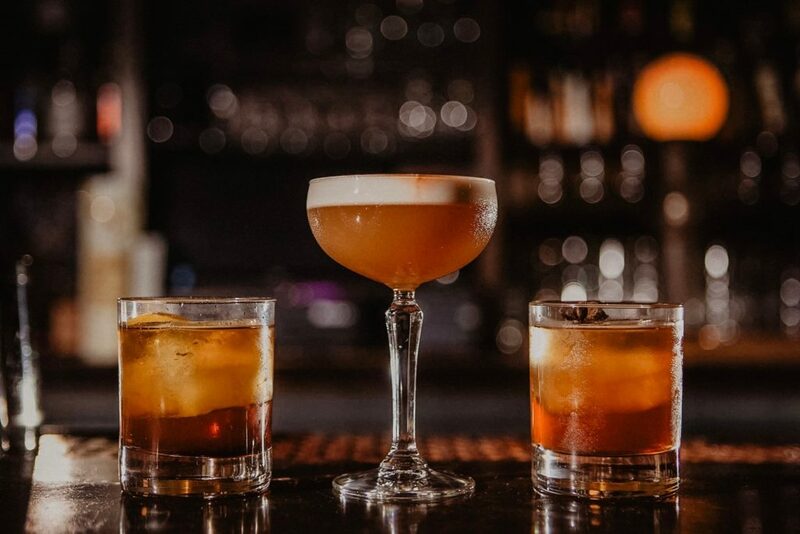 Located on the historic central Kalamazoo Mall, Principle Food & Drink features craft cocktails and scratch made cuisine in a casual yet elegant vintage atmosphere. The Principle kitchen presents an array of ‘medium’ plates, comprised primarily of ingredients sourced within 50 miles of Kalamazoo. Guests are delighted as fresh ingredients and high quality spirits are skillfully melded to create memorable craft cocktails at the Principle bar. Expect a lively, convivial experience at Principle Food & Drink. Cheers! Grand Traverse Distillery Tasting Room – 224 E. Michigan Ave. The Stamped Robin – 128 Portage St. Nothing warms your heart in the winter like twinkling holiday lights! Head to these spots downtown for the best outdoor light displays. Kalamazoo’s craft coffee scene has literally exploded in the last few years, specifically the number of amazing coffee shops just within the downtown area! Featured in the video above is Water Street Coffee Joint, one of the oldest Kalamazoo coffee shops downtown! To make all of your coffee shop dreams come true, discover all of downtown’s coffee shops when you take a self-guided coffee crawl with this list!